The construction is an expressive, perfectly straight cantilever structure used as a visitor centre. It combines a series of pre-existing buildings and vegetation (tea factory/warehouse), forming a 145 metre long “path of experience. The budget constraint appears to have a hidden blessing; The commitment to use basic rudimentary materials and technology has now become the signature to the project. Indeed the entire aesthetic would have been quite different if the budget was anything more than what was given. When to visit: Try to visit in the early morning to experience the cool highlands breeze. The visitor centre open daily except Monday, from 9am to 4.30pm. Admission to the factory visit is free and information tour is conducted every 30 minutes. Awards: 2007 International Biennale Barbara Cappochin Foundation Award for Architecture and Construction Elements Prize, Padova Italy. 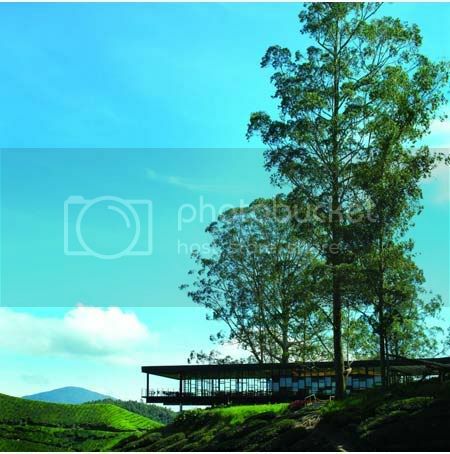 The BOH Visitor Centre is designed to provide visitors the opportunities to view and appreciate the landscape. It's also to house the existing tea shop & cafe and improve the overall visitor facilities. 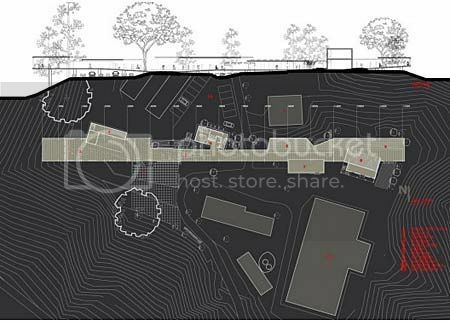 The shape of the building and its location is a direct response to the site with cut outs in the structure to avoid cutting down existing trees or demolition of other important site features. 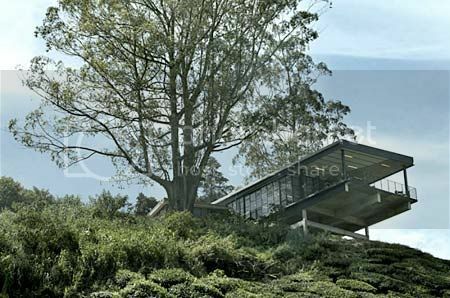 The final design is a 145m long and 9m width building with 6m overhanging platform overlooking the valley. A new car park area for the visitor has been allowed for at the back accessible by drive below the “bridge” segment of the new building. The Visitor Center is naturally ventilated building with a minimum need for any mechanical ventilation or air conditioning. 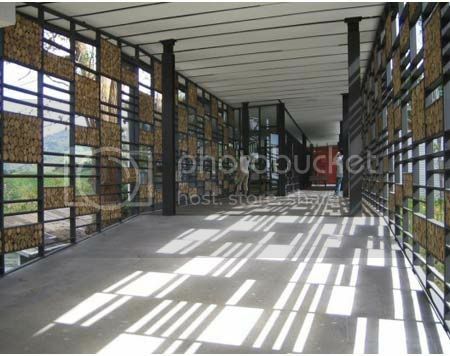 The entire building glazing were kept open and transparent to bring in natural daylight. Tall windows throughout the Project meant little or very low energy levels were required to operate these premises. 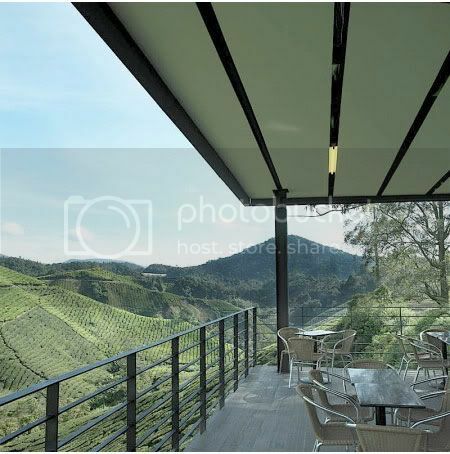 This openness also allow visitor to truly appreciate the valley view from inside. 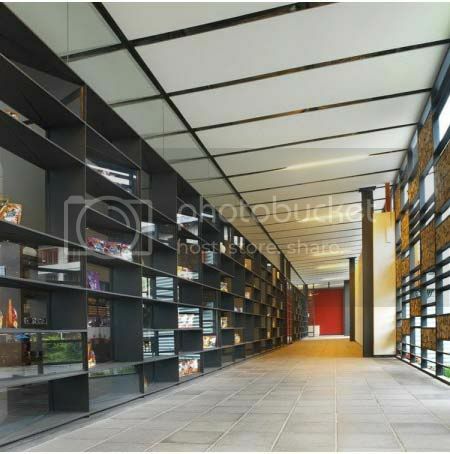 The beautiful surroundings have been exploited by using a metal structure with transparent walls, filled in at irregularly spaced points by fix glass & louvre windows. 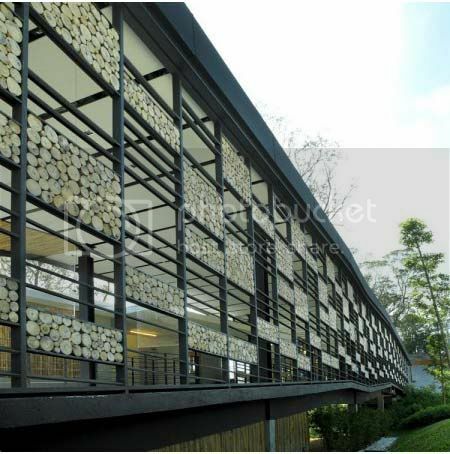 Part of the facade has many frames randomly embedded with local tree logs, and they create an interesting plays of shadow and light. For the most part of the building, it is elevated to provide space below the underside of the structure, a gesture to reduce impact on any of the original contours of the terrain. Moreover, this makes the building “float” above the ground. The choice to use metalwork was based strictly on the need to reduce on site construction activities. 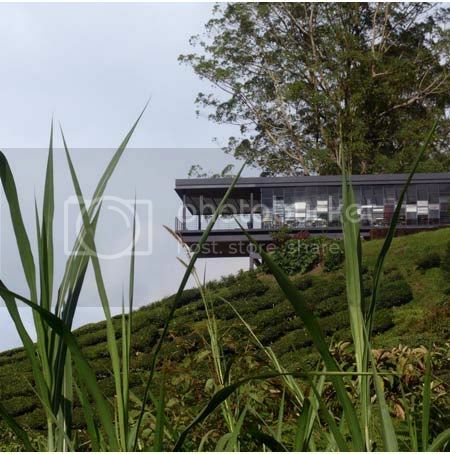 ZLG Design contemplated to expedite erection of steel frames in order to mitigate delivery problems of the tea leaves to the currently operating factory near by. The structural components were kept very simple, utilizing mainly standard section sizes. No major welding was done, except for smaller components. The side windows and facade were fabricated off site and assembled quickly and put into place between posts on a span of 9m girds. The steelwork is limited strictly to the upper storey structure; this is then assembled in situ manner to sit atop a reinforced concrete frame consisting of 350x1000 deep beams spanning a 9m grid. The floor slabs are then finished and exposed but sealant treated cement render, these were applied with a dark receding colour.